Revolutionizing the way we look at the politics of fat and food, Karen Leibowitz and husband Anthony Myint provide a thoughtful, down-to-earth perspective from the forefront of the San Francisco food cart and pop-up restaurant movement, weaving together comic strips, photos, recipes, maps, and autobiography. 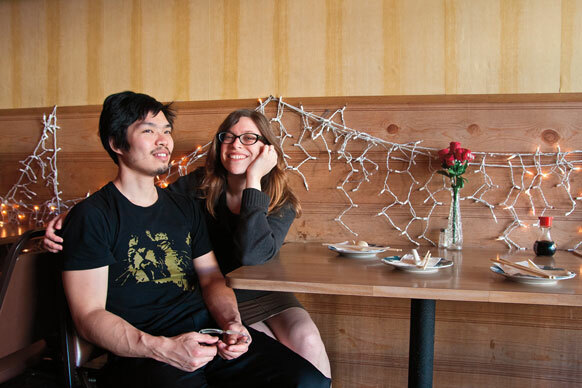 Dreaming to make upscale food affordable and benevolent, Myint began Mission Street Food (MSF) in a rented Guatemalan taco truck, which became an underground sensation. However, a nearby shop owner’s temper tantrum prompted the duo to reincarnate MSF twice a week as a “restaurant-inside-a-restaurant,” offering diners “counterculture capital” by pairing innovative, refined dishes with trippy Chinese Communist décor. After two years of culinary imagination, the restaurant splintered into less demanding restaurants—Commonwealth and Mission Chinese Food—and the authors adapted its history, philosophies, and recipes into the book. 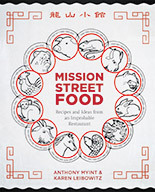 Mission Street Food includes recipes and insider tips on how to bring your own creations to the next level, replete with mouth-watering photos of seared pork bellies and the pioneering marrow-stuffed squid. Need another reason to buy the book? 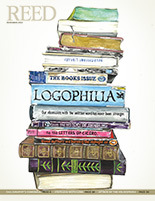 A portion of sales goes to activist organization Slow Food USA.